A newly updated study by United Way of Florida shows that almost 50% of households in Monroe County don’t make enough money to afford their basic necessities. 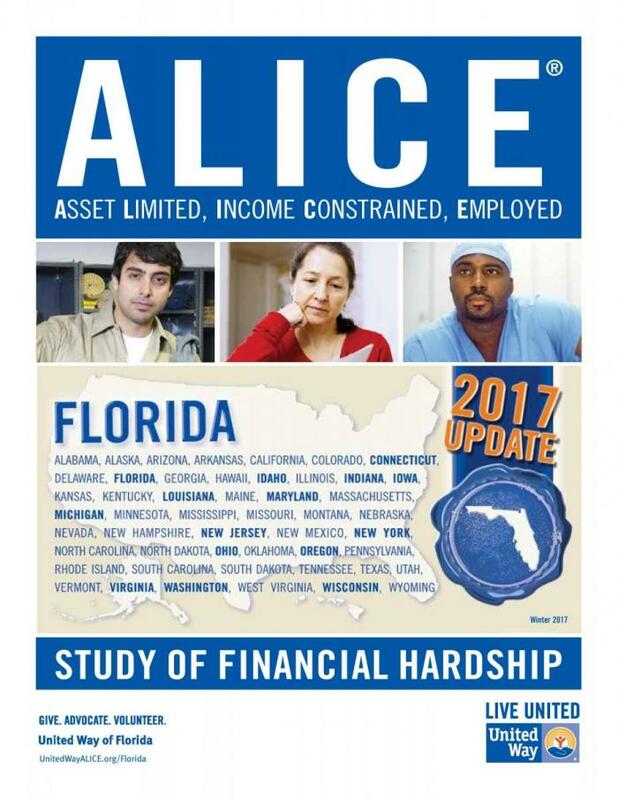 The 2017 United Way of Florida’s ALICE report shows the number of families living below the survival threshold in Monroe County has increased since the report was first issued in 2012. ALICE (families and individuals who are “Asset-Limited Income-Constrained Employed”) households are made of working people who don’t earn enough to make ends meet each month, given the high cost of living in Monroe County. According to the new, updated 2017 ALICE Report, in order for a family of four to survive at the most basic level in Monroe County, they must have a household income of at least $68,952. This number includes minimal levels of spending on childcare, food and rent expenses, with no miscellaneous spending at all. A single individual must make at least $29,208 to meet the “survival threshold”. These levels have increased faster than the rate of inflation since the first study was done in 2007. More concerning however, is that while the total number of households living below the ALICE survival threshold has decreased throughout much of the rest of the state, the number of families struggling to survive in Monroe County has increased in the last five years. In 2012 there were 29,241 households living below the survival threshold. In 2015, that number jumped to 31,391. There are now an additional 2,150 households in our community unable to afford healthy, nutritious food or send their children to safe, quality childcare programs. To learn more about the ALICE report, click here.